Many people have been asking me about my thoughts on the recent release of the Ford government’s line-by-line audit and the unbelievably high deficit and debt numbers released by the Tories. It has been interesting to see the reaction to how this has all unfolded. The reaction switches from disbelief, to telling us something we already knew, to doing what governments always do, which is to overstate how bad the last guys were at managing the province’s finances. But here’s the truth. A lot of the information flowing about the true state of public finances in Ontario has long been public knowledge. The problem is that the people haven’t paid attention. Some in the media have perpetuated the problem for a long time too. All of what has come out in recent days has been out there for years. All of it. Yet, the previous government never once acknowledged it, and even tried to hide it. And the media may have devoted a passing line in a story to it, but never gave it the rigorous reporting any scandal is usually afforded. The feud between the previous government and the auditor-general has been years old. It started with the government taking away powers from the A-G for screening government advertising, which they did by tucking it inside omnibus legislation without the adequate scrutiny such a change deserved. The media reported it, sure, but so they also reported that this change was necessary because the A-G held up the release of government ads because she was careless and sloppy. It then started getting worse from a transparency and accountability perspective. The government and the A-G started exchanging bitter words on accounting treatments of various budgetary lines, and thus the A-G did not issue any clean audit reports for the past 3 years. This is pretty crazy stuff. Certainly, the government that reviews audits for any organization it levies a tax on could NEVER get away with it. But, how many Ontarians know this to be true? Worse still, how many Ontarians cared to factor this particular point into their voting decisions rather than an overall negative sentiment about the government that had been in power for 15 years? So when media reports and former Liberal cabinet ministers say something to the effect of the government isn’t telling us what we don’t already know, I sit back in sincere bewilderment. If the government knew, but did nothing, it was negligent. If the media knew but did nothing to hold the government to account over it, then they are at fault too. I want to expand on this point about the media here too. For too long, Tories who espoused fiscal discipline were always cornered by the media for detailing the fiscal mess, and then continually being berated about what they were going to cut to balance the books. If there was an honest treatment of the fiscal mess in Ontario, that question should have been asked by everyone to everyone. But, no, that’s not what happened. That’s not the story we got at all. The story we got was that the Tories failed to fully cost their platform. Never was the question asked on what numbers should those numbers be based. Nobody trusted the government’s numbers anyway. Not even the non-partisan A-G appointed on the recommendation of an all-party committee at Queen’s Park. Put a different, the costed platform of the other parties were full of garbage too. Now, the narrative is Doug Ford the bully, settling political battles through his supposedly mean-spirited and vindictive ways. Now with Toronto elections issues being settled, Ford is going to stick it to the Liberals with a vengeance. If you ask me why this select committee is necessary, it isn’t to settle a political score. It may be an official government line to highlight the incompetence of the previous government. But the bigger reason Ford has gone down the select committee path is because his government sets the communications agenda, and he’s hell bent to make sure every Ontarian knows who created the mess. The question will be how much coverage will this official proceeding manage to garner. I’m sure when Bonnie Lysyk shows up, as I would expect, there will be some attention thrown her way as she details the fiscal mess in ways only she can. It would be interesting to see who the Liberals and the NDP call up as witnesses. Climbing out of the fiscal blackhole won’t be easy. Tough choices will need to be made. The government is providing us with some pretty good hints as to what to expect in order to fix this mess. One of my jobs at Earnscliffe is to help clients deal with the new reality. So if this is you, please send me an email. 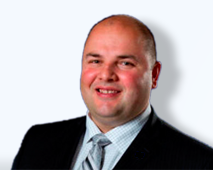 Rob Leone is Principal for Earnscliffe Strategy Group in Toronto. The words expressed here are his personal views and opinions.